There was loads of exciting poker play taking place throughout Day 2 of the European Poker Tour Season 10 Barcelona €50,000 Super High Roller event at Casino Barcelona. With just 8 players left Ole Schemion is leading the pack as they battle to win the €771,300 top prize. 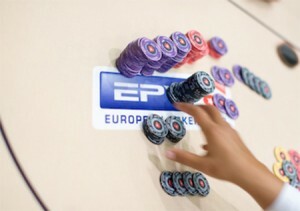 The event attracted 40 players, 11 of which re-entered, to produce a total of 51 entries and a prize pool of €2,448,765. The top seven players will cash and at the end of the day only eight remain, Ole Schemion is leading the field with a stack of 2,835,000 chips. When the players return for Day 3 they will all be eager to win some money. The seven players which make it through to the final seven will be guaranteed to win at least €128,515. The overall winner will take home €771,300 and the title of EPT champion. Alongside Schemion the players returning include Timothy Adams, Steve O’Dwyer, Mike McDonald, Erik Seidel, Fabian Quoss, David Benefield and Vitaly Lukin. Of course there were some big names to fall on Day 2 including players such as Daniel Negreanu, Jonathan Duhamel and reigning champion Dan Smith.